Considered and decided by Toussaint, Chief Judge; Shumaker, Judge; and Stoneburner, Judge. In a dissolution action, finding bad faith in a party seeking maintenance is not a prerequisite to finding that the party has the ability to earn more income and to meet the party�s needs independently by full-time employment under Minn. Stat. � 518.552, subd. 2(a) (2004). In this dissolution action, appellant Nancy M.G. Rauenhorst challenges the judgment denying her request for permanent spousal maintenance and two inconsistencies in the district court�s findings. We modify the judgment to correct the findings, and, because we see no abuse of discretion, we affirm as modified. In 1988, appellant graduated from the University of St. Thomas with a bachelor�s degree in business administration. For the next nine years, she supported herself by work at entry-level jobs in various capacities including receptionist, accounting clerk, manager of work crews, real estate sales associate, and assistant to insurance agents. In March 1997, she married respondent Thomas H. Rauenhorst and began working for an insurance company as a remediation specialist at an annual salary of ,000. She held that job for three years, until April 2000, when she quit in order to renovate for sale a house she had inherited. The house sold in December 2000, and appellant realized a profit of 8,156. In 2000 and 2001, appellant also received personal injury settlements of ,359 and ,042, as well as an employment settlement of about ,000. The parties� lifestyle was funded by income from respondent�s work, appellant�s inheritance and settlement money, and debt. Appellant remained unemployed and renovated the parties� house. In February 2003, she had twin sons. The parties agreed that she would remain home to care for them and the family would be supported by respondent�s income. The parties separated in October 2004. A March 2005 district court order provided that the children would spend equal time with each party and that respondent would pay ,776 monthly as temporary child support and ,700 monthly as temporary spousal maintenance through August 2005. Appellant�s motion to extend the temporary spousal maintenance was denied in July 2005. A vocation evaluation report stated that appellant is capable of earning between and per hour. She found part-time employment at per hour in July 2005. In September 2005, a judgment based on the parties� agreement dissolved the marriage and resolved all issues except spousal maintenance. It provided that: (1) the parties would have joint legal and physical custody of their sons; (2) respondent would pay 7 monthly in child support based on the Hortis-Valento formula (imputing to appellant an income of .50 per hour for a 40-hour week); and (3) respondent would pay all work-related daycare expenses until December 31, 2007. In September 2005, the parties made their final submissions on the spousal maintenance issue. Appellant claimed that she is unable to support herself and needs ,430 monthly in permanent spousal maintenance. Respondent claimed that appellant is able to support herself and that he is not able to maintain two households and the parties� former lifestyle, which involved significant debt. The district court found that appellant is capable of supporting herself and issued an amended judgment denying spousal maintenance. Appellant challenges that denial, arguing that the district court erred by imputing income to her without finding bad faith and by making erroneous findings. Was the district court obligated to find bad faith before finding that appellant has the ability to meet her needs independently by full-time employment? 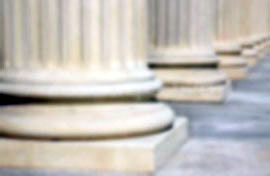 Appellate courts review a decision on spousal maintenance under an abuse-of-discretion standard. 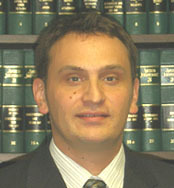 Dobrin v. Dobrin, 569 N.W.2d 199, 202 (Minn. 1997). Discretion is abused if the district court�s findings of fact are unsupported by the record or if its application of the law is improper. Id. at 202 & n.3. �There must be a clearly erroneous conclusion that is against logic and the facts on record before this court will find that the trial court abused its discretion.� Rutten v. Rutten, 347 N.W.2d 47, 50 (Minn. 1984). In determining maintenance, a district court is to consider (1) the ability of the party seeking maintenance �to meet needs independently�; (2) the probability of that party �becoming fully or partially self-supporting�; (3) the marital standard of living; (4) the length of the marriage and the degree to which the party�s skills have become outmoded and earning capacity has been permanently diminished; (5) whether that party lost earnings or opportunities; (6) that party�s age and physical and emotional condition; and (7) the ability of the party from whom maintenance is sought to meet needs while meeting the needs of the party seeking maintenance. Minn. Stat. � 518.552, subd. 2 (2004). Moreover, a maintenance award must be evaluated in the context of the other provisions of a dissolution judgment. See Brugger v. Brugger, 303 Minn. 488, 491, 229 N.W.2d 131, 134 (1975) (�[I]n a divorce case of this kind [i.e., involving property, maintenance, and child support issues], the Court must of necessity �balance the equities� in the light of facts then existing or in the light of facts that will with reasonable probability exist in the future.�). does not need to be retrained to support herself. [She] is a college graduate, with no physical impairments, and capable of self support. She has supported herself her entire adult life except for the months after her children were born in February 2003. [She] is capable of supporting herself, after considering the standard of living that the parties could afford during their marriage, not based upon their inflated standard of living. Appellant does not dispute these findings. She challenges instead the finding that �[i]t is reasonable to impute to [appellant] ,000 annual gross income; the income she earned before voluntarily leaving full time employment� because the district court failed to make a finding of bad faith before imputing income to her. See Maurer v. Maurer, 607 N.W.2d 176, 180 (Minn. App. 2000) (citing Carrick v. Carrick, 560 N.W.2d 407, 410 (Minn. App. 1997), for proposition that finding bad faith is prerequisite to imputing income to party seeking maintenance and, like Carrick, reversing denial of maintenance to party whose voluntary underemployment was not in bad faith), rev�d on other grounds, 623 N.W.2d 604 (Minn. 2001). But the essence of the district court�s decision was its finding that appellant supported herself for much of her adult life and is capable of supporting herself, or, in the language of Minn. Stat. � 518.552, subd. 2(a), that she has the �ability to meet needs independently.� �In a dissolution action, a finding that a party seeking maintenance has the ability to meet needs independently by full-time employment is not an �imputation of income.�� Schallinger v. Schallinger, 699 N.W.2d 15, 17 (Minn. App. 2005), review denied (Minn. Sept. 28, 2005). Like this case, Schallinger concerned a party who was denied maintenance on the basis of a district court finding that the party was able �to meet needs independently� if the party worked full time. Id. at 22. The district court found that the appellant, who worked three days a week, �was in �good physical and emotional health, and has no health conditions that prevent her from seeking full-time employment.�� Id. In addition, the district court found that the �appellant �has the ability, skills, experience, and earning capacity to meet her necessary monthly expenses . . . . [Appellant]�s choice not to seek full-time employment does not mean that she lacks the ability to be self-supporting.�� Id. The appellant in Schallinger claimed these findings were an implicit �imputation of income� and, like appellant here, argued that the district court could not impute income without the prerequisite finding of bad faith. See id. This court rejected that argument, concluding that finding a party who did not meet her needs by working part time would be capable of meeting them by working full time was not an �imputation of income� and that the appellant was �able to expand her employment two days per week and earn approximately ,383 per month gross.� Id. In contrast to Schallinger, the district court here explicitly found: �It is reasonable to impute to [appellant] ,000 annual gross income; the income she earned before voluntarily leaving full time employment.� But in doing so, the district court was actually finding that appellant is capable of full-time employment. That finding is merely explanatory of the essential finding that appellant is able to meet her needs independently by full-time employment. In light of Schallinger�s holding that �a finding that a party seeking maintenance has the ability to meet needs independently by full-time employment is not an �imputation of income,�� id. at 17, the district court�s �imputation� language was poorly chosen. Absent the �imputation� language, the district court would have had no need and no reason to make a finding of bad faith; thus, its failure to make such a finding is irrelevant. The determination that appellant is not entitled to permanent spousal maintenance is not �a clearly erroneous conclusion that is against logic and the facts on record.� See Rutten, 347 N.W.2d at 50. Appellant challenges two inconsistencies in the district court�s findings. First, the district court found: �Except for a three month gap, the [appellant] has been consistently employed full time since 1989,� but appellant�s employment record, also included in the findings, shows that she was not employed for two months in 1990, for four months in 1996 and 1997, and for five years between April 2000 and July 2005. But whether appellant was unemployed for three months or for six months during the eight years prior to her marriage has no bearing on whether she is entitled to spousal maintenance now, and several of the district court�s findings show its awareness that appellant was unemployed from 2000 until 2005. It can reasonably be inferred that the district court meant its finding to read, �Except for a six-month gap, [appellant] was consistently employed from 1989 to 2000.� We modify the judgment to include this finding. Second, the district court found both that appellant �did not use the period from April 1, 2005 to August 31, 2005, to look for employment� and that she �started looking for employment in July 2005[. ]� The inconsistency implies that the district court meant to find that appellant did not use April, May, and June to look for employment, and we modify the judgment to include this finding. Again, the inconsistency is irrelevant: the district court�s point is that appellant did not attempt to find work as soon as she could have. The district court was not required to find bad faith on appellant�s part before finding that she would be able to meet her needs independently with full-time employment. The court�s denial of permanent maintenance was not an abuse of discretion. We note two inconsistencies in the district court�s findings; although they are irrelevant, we modify the judgment to correct them.